We're working really hard to continue improving our app. If you experience a problem, please email us on tvplayer_ios_support@talktalkplc.com and we'll be happy to investigate any issues straight away for you. TalkTalk TV Player lets you watch all the TV and movies that you’ve bought through the TalkTalk TV Store website. No subscription; only pay for what you want to watch, when you want to watch it. 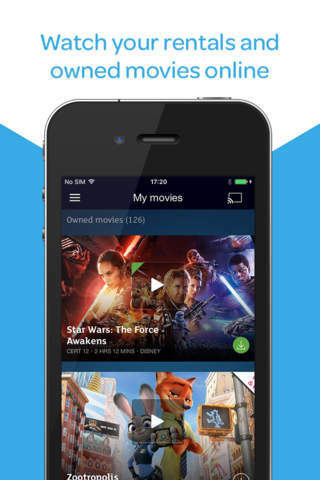 Features: - Watch the latest blockbuster movies and TV shows that you’ve purchased from the TalkTalk TV Store website, whenever you’ve got a Wi-Fi connection - Download your content to watch when you're abroad or stuck without an internet connection. Make your commute more entertaining with TV on the go! - Start watching on one device then pick up where you left off on another - Chromecast support means you can enjoy all your movies and TV shows on your TV. Simply use your iPhone or iPad as the playback remote and watch the latest releases on the big screen. 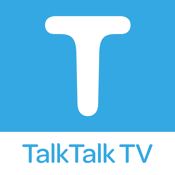 - HD support for iPads - Stream and download using mobile data on your iPhone (please check with your mobile network for any data changes that may be incurred) If you love the latest entertainment, you'll love TalkTalk TV.